This morning the Real Estate Board of New York (REBNY) released a report today saying if the city fails to renew the existing 421-a partial tax exemption program, we could stand to lose thousands of affordable units. REBNY took a look at a sample of projects in the pipeline—including Essex Crossing, 5Pointz, Domino and Pacific Park, amongst others—and found that 421-a is responsible for 5,484 affordable apartments and 13,801 market-rate units in these developments. They argue that without the abatement the theses units would be in jeopardy and be “immediately be sent back to the drawing board.” They add that some of the units could even end up as high-end luxury condominiums and some of the middle- and low-income housing now in the works would be lost forever. The report was released in light of 421-a’s pending renewal, which expires in June and has for decades provided tax breaks of up to 25 years to new residential buildings throwing a handful affordable housing into their mix. Critics of 421-a are looking to banish the program which they believe has unfairly given tax breaks to some of the New York’s wealthiest, threatening the city’s affordable housing stock even further. What they want to see instead is the strengthening the affordability requirements or the decreasing the financial incentives, better monitoring of an affordable program’s successes and failures, and, above all, redrawing the lines of the geographic exclusionary area so that luxury buildings can’t cash in on 421-a. 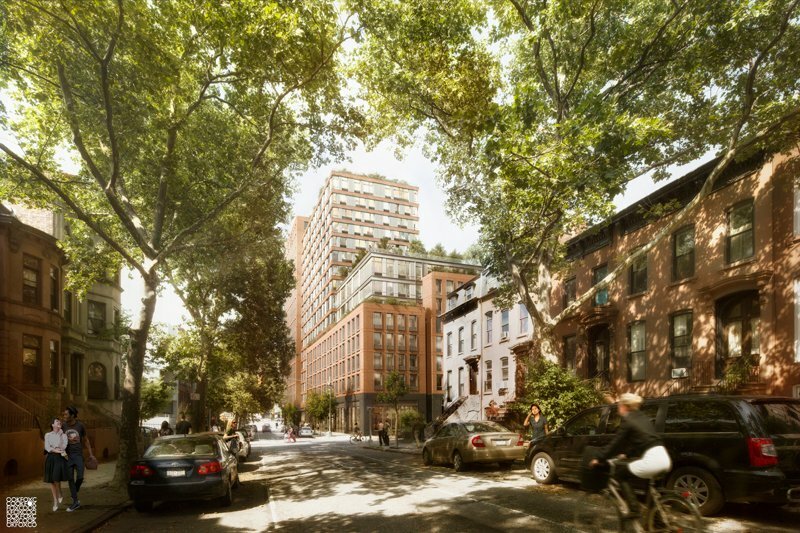 Mayor Bill de Blasio has still yet to come out with where he stands on the issue, partly because reaching his affordable housing goals is largely contingent on the support of the real estate community and developers who support the renewal of 421-a. You can read REBNY’s full report here (opens to a pdf).